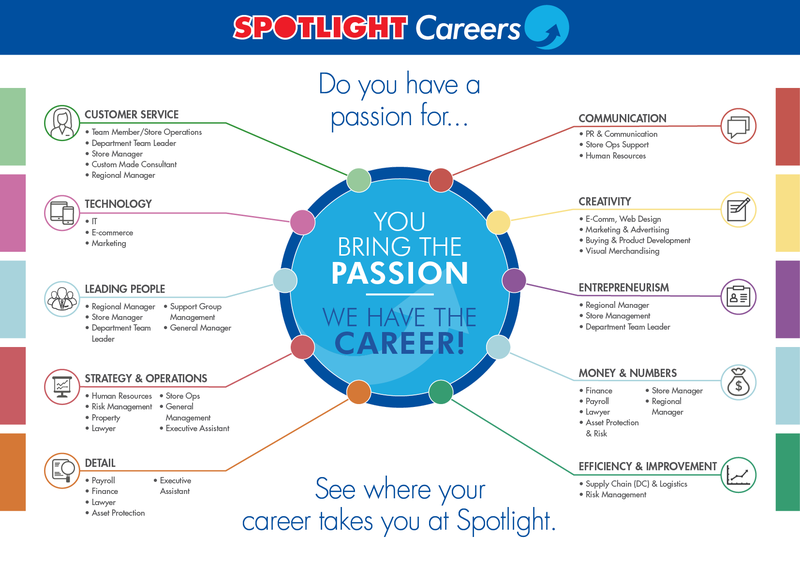 If you want your working life to be filled with more than just a job, Spotlight will back you to reach your career goals. As a complex, multi-national retailer, we can offer an exciting range of opportunities to our talented people. We expect a lot from our Team but the rewards are great for those who want to stretch themselves and grow with the company. You bring the passion, we provide the career.